In addition to "Like," you've now got the opportunity to "Love," "Wow," "Sad," "Haha," or "Angry" posts as well. But before you go thinking that this new feature might overwhelm you with such a vast range of emotions, you can take comfort in the fact that users will only be able to express one reaction per post—there won't be any situations where that cute girl from Econ thinks that picture of you at the beach is both Haha and Wow. WHAT DOES IT MEAN?! This is what I get for thinking the Bachelor would never apply to me in real life. It's really simple to use a reaction—much simpler than figuring out which version of there/their/they're you're supposed to use in that comment about how you hate Grammar Nazis. If you're on desktop, just hover the mouse over the Like button, and the other reactions will pop up for you to click on. On mobile, you just have to long-press Like to get the other reactions to appear. This works in the app as well as the mobile site. And if you ever change your mind, you can go back and switch to the reaction that you feel is more fitting. Yeah, I guess the angry emoji is kind of cute. 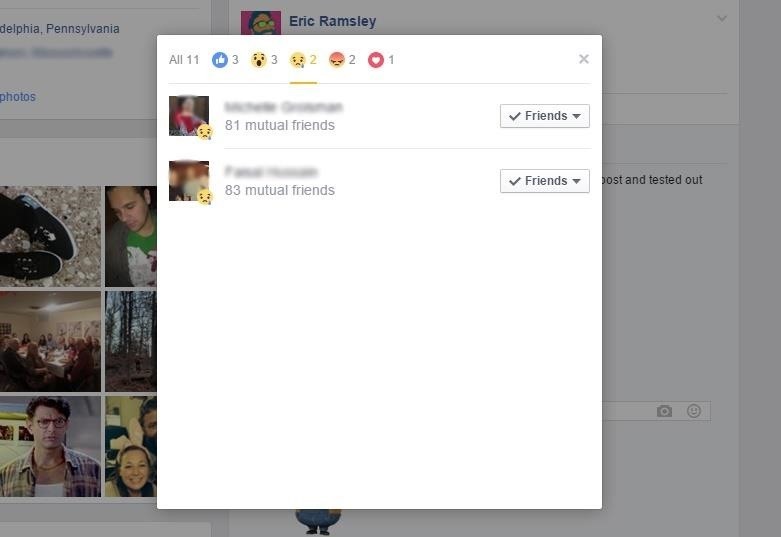 Facebook will show a few of the Reaction totals right under the post, but you can see the full distribution if you click on one of the reaction emojis. This is incredibly important information. 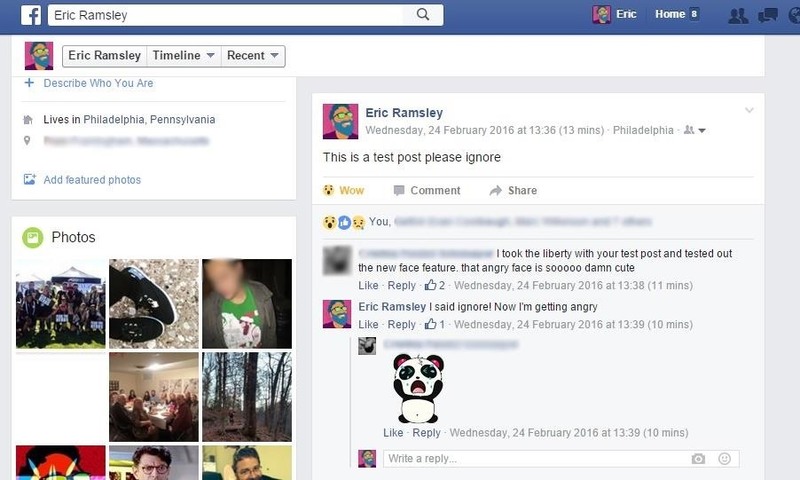 It looks like Facebook was benevolent enough to not send you a notification every time someone switches their feelings on a post they've already reacted to, so people will have to annoy you the old-fashioned way by liking and unliking a post over and over again. 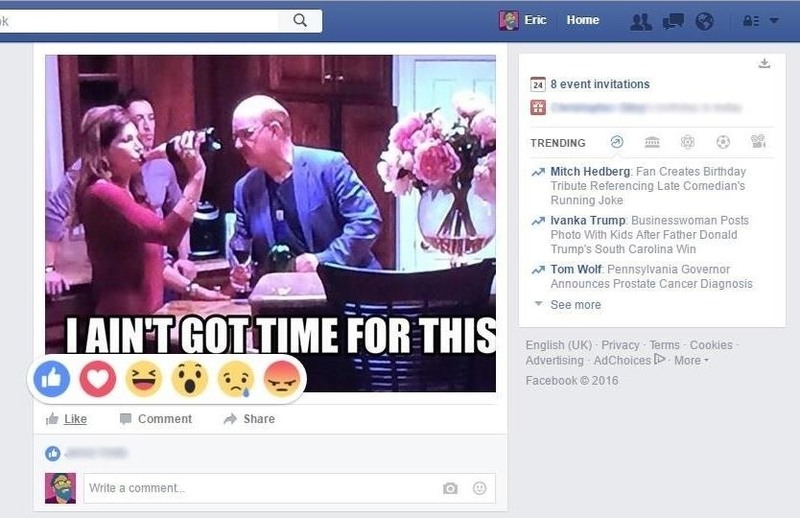 What do you think about Facebook's new Reactions? Do you see yourself still using them once the novelty has worn off? You can let us know in the comments, but be warned—you're going to have to type out your feelings yourself.